Susquehanna OB/GYN and Nurse Midwifery always appreciates feedback from our valued patients. To date, we’re thrilled to have collected 31 reviews with an average rating of 4.9 out of 5 stars. 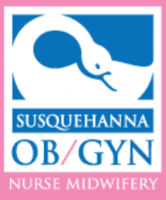 Please read what others are saying about Susquehanna OB/GYN and Nurse Midwifery below, and as always, we would love to collect your feedback. Dr Gotzmann is o e of the best doctors I've had kn my 34 years. She is knowledgeable and understanding and I would highly recommend her. She has a passion for her work and it shows. I am incredibly impressed by my first visit at Susquehanna. The office staff was professional, friendly, and immediately made me feel welcomed. My nurse practitioner, Nell, is warm, extremely knowledgeable, asked pertinent questions, and truly LISTENED to my responses and concerns. I can honestly say that I've found my gyn home. Dr Gotzmann takes her time during your visit and is very personable. I feel very comfortable with her. My actual experience with the doctor was completely fine. However, a receptionist who spoke to me at the Havre De Grace location was extremely rude. I had a unique circumstance where I just needed to come in for one visit and ultrasound, and this woman told me this would not be possible and if I wanted an ultrasound to go to the ER. I was shocked. Thankfully the other receptionist at the Upper Chesapeake location called me back and thoroughly apologized and said I was still completely fine to come in for my appt. Outstanding service and a very understanding person. Very sweet and frindly! I just wrote a review for the doctor but inadvertently forgot to mention the support staff. From the time of my first call the front desk and back office staff have been genuinely friendly, caring and professional. It’s a pleasure to be a patient of this practice. Dr. Gotzmann is awesome! Down to earth and easy to talk to.